Megh Boleche Jabo Jabo by Humayun Ahmed is a good and one of the popular books of Humayun Ahmed. The story of this book is really awesome. it is something like that. The hero of this story is walking with a group of duck. What is the reason, why will he walk with the group of duck? He is a man and the name of his is Hasanur Rahman. His age is 28 and he is pretty handsome. If he wears the red shirt, it looks like good to him. So, why is he walking with a group of duck? So, you may think about what type of story it is? Actually, the speeches you have read these are the dream of Hasanur Rahman the hero of this story. I am sure that if you read this story, you will get a good story, after all, a long story by Humayun Ahmed. This book has something different from other books by Humayun Ahmed. When you read this book, you will meet all the new character. But you will get all the activities of all character like Himu. So, this book will be awesome for you, just read one time then you will find the changes. 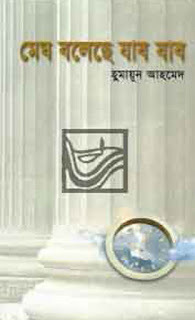 Remarks: Free Bangla Humayun Ahmed Ebook Download, Bangla Ebook Download, Bangla book Download.